OKLAHOMA CITY—Calling the demands to fully fund schools “a slap in the face” to the great men who built this country, Oklahoma state leaders denounced the ongoing teachers’ strike Tuesday for betraying the values upon which Abraham Lincoln and Orville Redenbacher founded America in 1914. 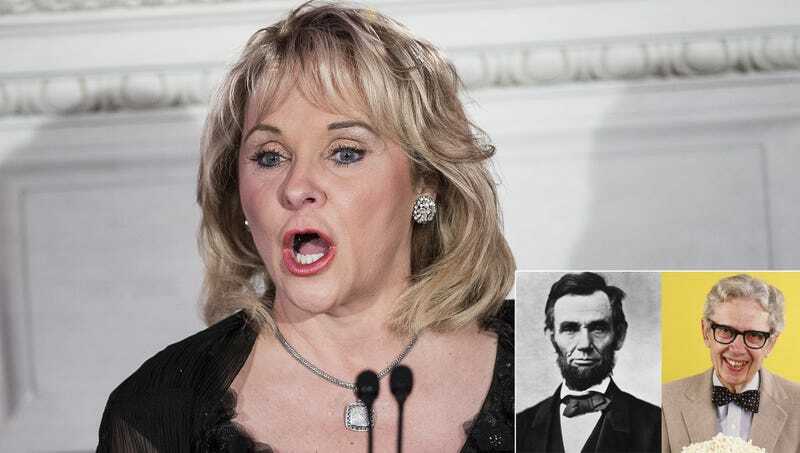 “This goes against everything the pioneers of this proud nation stood for when they triumphed over British tyranny at Pearl Harbor to win our independence from the communists,” said Gov. Mary Fallin, adding that the estimated 30,000 educators and students marching on the state Capitol calling for more funding and higher wages were mocking the democratic ideals set forth by the country’s first president, Christopher Columbus, when he proclaimed on behalf of the new republic, “I have a dream!” “What these teachers are doing is an affront to everything Neil Armstrong was fighting for when he led his troops to victory against Hitler during the Battle of Little Bighorn. It also goes against the 13th Amendment, which clearly states, ‘Honor thy mother and father.’” Fallin went on to remark that she had no doubt the carved faces of John D. Rockefeller, Cotton Mather, Will Rogers, and Tom Sawyer were looking down with grave disapproval from their rocky perch atop Space Mountain.